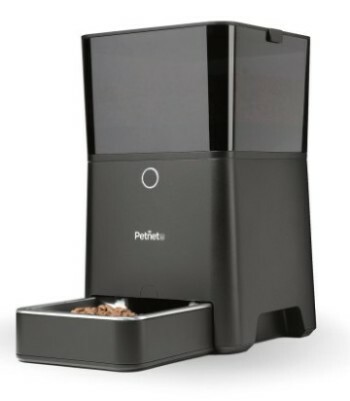 Knox Smart Wireless Wi-Fi 2-Way automatic cat feeder allows you to feed your pet according to a feeding schedule that you can customize to the hour and minute by using the “Pettion” App. You can program many meals as you want from your smartphone. 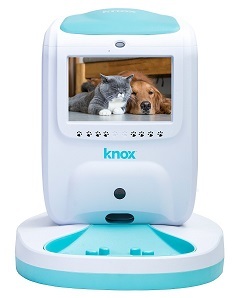 Also, Knox feeder allows you to display pre-recorded videos to make your pet feel better when alone. The unit features a large LCD screen on the front to play a 10-sec any video that you record using your smartphone. 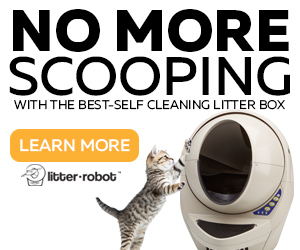 You can send this videos whenever you want to be displayed by the feeder so you don’t need to be in front of the camera in real time for your pet to see you. 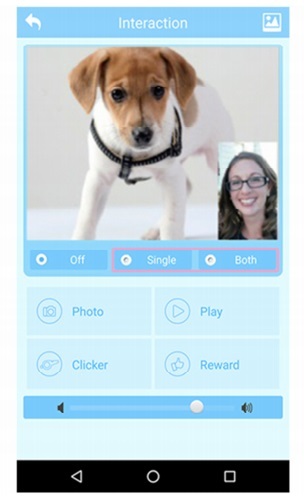 The unit features a built-in camera so you can watch your pet as well in live stream. The “Pettion” App has many other interesting features. The system requires Android or iPhone and Wi-Fi home network. Minimum portion 1 Oz dry food and bigger portions in 1 Oz increments. 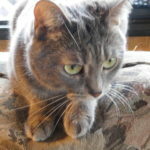 App provides charts of your cat eating habits per day and monthControls food level in the feeder, no worries when to refill. 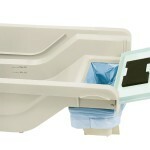 Knox Smart Wireless Wi-Fi automatic feeder works just like most Wi-Fi feeders on the market. 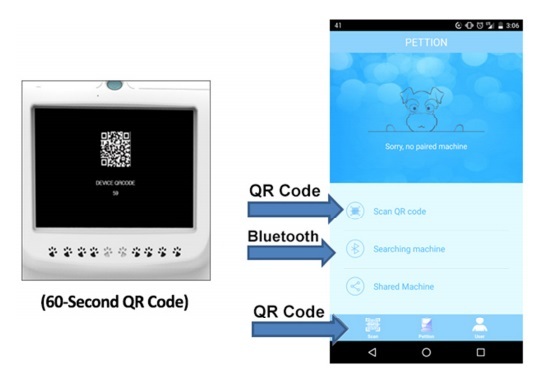 You need to upload the free App “Pettion”, connect the feeder to the App and then connect the unit to your home network Wi-Fi. Using the App you can program feeding times and portions according to your cat needs, fully customizable. Also, you have the ability to trigger a meal or snack at any time using your smartphone. 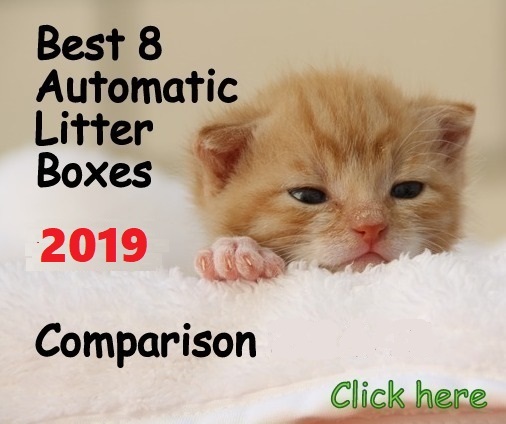 The difference of Knox automatic feeder regarding other Wi-Fi type feeders is the built-in LCD screen and the 2-Way camera that allows you to see your pet and your pet to see you at the same time, establishing a video communication bidirectionally from anywhere. Though, you won’t be able to hear your cat, only watch it, but your kitty will be able to hear you and see you. Step 1. First, You Need To Assemble The Unit. Put the main body on the base and tighten both parts with the provided screws. The slow feeding bowl and the bowl insert on top of it come both already installed, but you can remove the bowl insert if you want. By removing the bowl insert you provide kittens or short-nosed cats easier access to the food. Step 3. Plug the unit in and turn it on. The turn on/off button is located on the back bottom. Step 4. Download the Pettion App. Create a user account. Using Bluetooth: Tap the option “Searching Machine” on the App. Then follow the steps to pair your smartphone, similar to the steps of any other Bluetooth device’s connection. You need to activate the Bluetooth function on your phone before doing this step. Step 6.Connect the unit to your wi-fi home network. On the App go to “Setting/Machine Connection”. The “Pettion” App will search for available Wi-Fi Network so when if locates your home Network select it and enter your password. 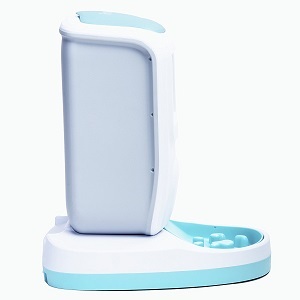 After that, the connection will start and once it is confirmed successfully, you can start using the Knox automatic feeder. Single. You activate the camera so you can see what the camera sees, it will work live stream over the internet. 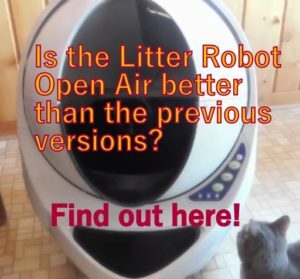 The LCD panel of the feeder will be off so only you will see your cat/room. Both. This option will activate the camera and the LCD screen on the feeder. This way you can see your cat and your pet will see you and hear you. You can adjust the volume of the feeder if you need. In case you don’t see your cat in front of the feeder when turning on the camera, you can call it or tap “Clicker” on the App that will play a sound from the feeder that will attract your cat’s curiosity. Taking Pictures of Your Cat. You can get a snapshot of your pet when in live stream. On the App, on “Interaction” screen tap “Photo” and you will get an instant photo of what the camera captures. To take photos you need to activate either the “Single” or “Both” video option. Video Management. Record short videos (10-sec) from your smartphone and send it to the feeder so you can play it whenever you want. This is a cool feature that allows you to accompany your pet even if you are busy doing something else. Your pet will see your video and will feel better to see you. You can record new videos on the App and create a video list so your cat won’t see the same video all the time. Also, you can select when the video will be displayed on the LCD screen, if during the dispensing of food or any other time. Feeding Schedule. You can create a meal plan for your cat with 1, 2, 3, or many more meals per day, at a specific time each, according to your cat needs. You can edit and change this schedule at any time from your smartphone. Remote Feeding. Feed your cat a 1-Oz meal at any time from your smartphone. These manual feedings are additional to the feeding schedule and they are used as a reward or as snacks in between each meal. Health Data. 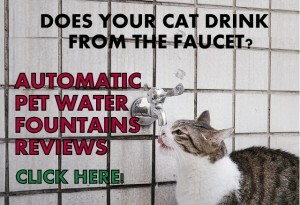 You can keep track of your cat eating habits and monitor your pet’s health. Add New Users. You can invite your family or friend to share the App with you so more people are connected and communicate with your pet. Simply activate a QR code on your phone and scan it on the second phone. WHAT ARE THE PROS & CONS OF KNOX WI-FI FEEDER? The following list shows the main advantages and disadvantages of this new automatic device. This list will allow you to make sure if this unit is what you really need. The App allows you to record short videos and create a list where to choose from if you want. 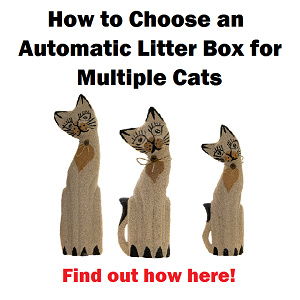 Ability to schedule a video broadcast for your cat to see you, during dispensing or anytime. The feeder has enabled a compartment at the bottom to place a USB power pack as a backup in case of power outages, but this power pack doesn’t come with the feeder (and you can’t substitute the USB power pack with third-party power bank). Bluetooth is only to pair your feeder with your smartphone. Remote access issue with IOS devices with T-mobile and carrier that switched to Ipv6. 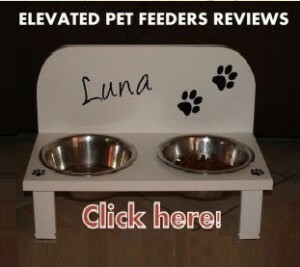 No information of this feeder on Knox’s website. The default profile is for a small dog, not cat profile. Record several short videos and store them on your App so you can have a variety to choose and keep your cat motivated. 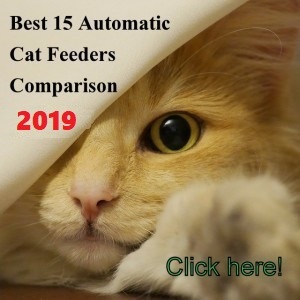 Knox Smart Wireless WiFi Automatic Feeder offers a unique feature that other WiFi feeders don’t, which is the ability to watch your cat on a video and your pet to watch you as well. 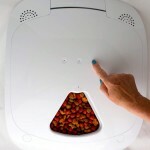 This is a cool option for you to feed your cat and to make your pet feel less alone throughout the day. The unit doesn’t allow you to operate local functions on Bluetooth solely and it needs Wi-Fi. Knox Automatic feeder is a good option to feed your cat and keep a visual and audio interaction with your pet on a daily basis. Usually, cats are not in the room when people activate the webcam; they just see an empty room. With Knox however, you can call your cat or trigger a sound that will call your pet’s attention. This is a unique product and I would recommend this unit, however, the lack of information available on Knox website and the lack of customer service would make me wait a little more before getting one.